Whether you are looking to cover a large law practice with many attorneys, smaller practices with only a few, or coverage for yourself as a sole practitioner, an errors and omissions policy for attorneys is a necessary coverage that should not be overlooked in your risk management program. A lawyers professional liability policy provides attorneys with coverage for financial loss suffered by third parties (other people) arising from alleged negligence in providing professional legal services. 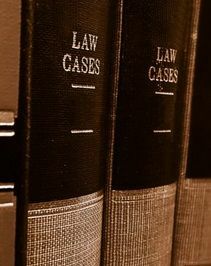 Most policies also provide coverage for personal injury claims (i.e., defamation, invasion of privacy) since allegations of such acts occur frequently in the legal arena. Promark Agency can offer a wide array of solutions to create a program custom tailored to your (or your firm’s) specific needs. Contact us today to learn more.